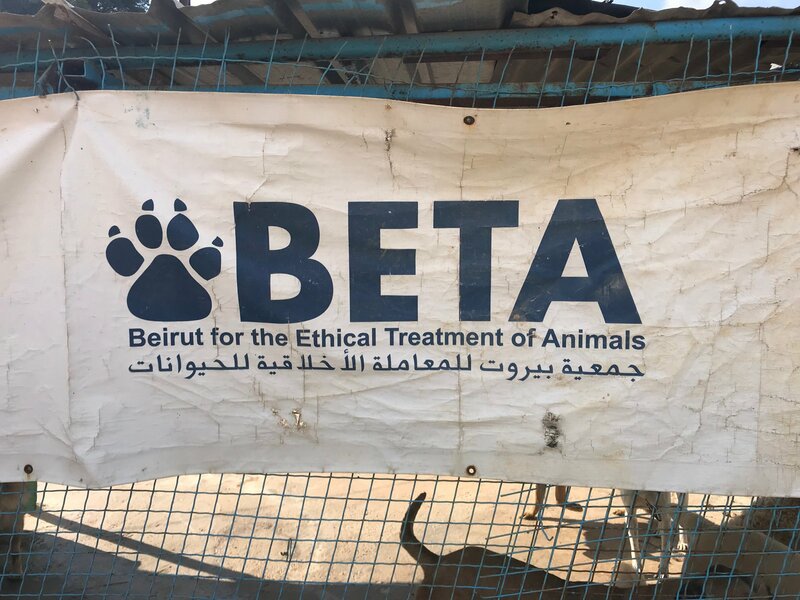 In 2018, we traveled to Lebanon to work with the largest animal welfare group in the country, the Beirut for the Ethical Treatment of Animals, or BETA. We went and saw and worked at their non-kill shelter which on average holds over 800 rescued dogs all needing forever homes, with the very dedicated BETA staff that helps take care of every single dog each day. Some of the staff live their year round and dedicates their lives to these dogs in need, which really shows their true compassion and dedication to the animals care. We also attended emergency rescue calls received throughout the country, one among many being a very 80 dog puppy mill seizure. That was a very difficult time, but we are able to really gain some very valuable dog rescue experience doing this type and level of rescue work. Working with this amazing organization we really got a sense how hard they work to rescue, rehabilitate and advocate for animals well being and treatment in their country, and abroad. They are an inspiration to us. We were also able to bring back 3 dogs as well in 2018 and found them loving forever homes in Canada. In April 2019 we will be going back to work with BETA and we are looking forward to be back once again to help. 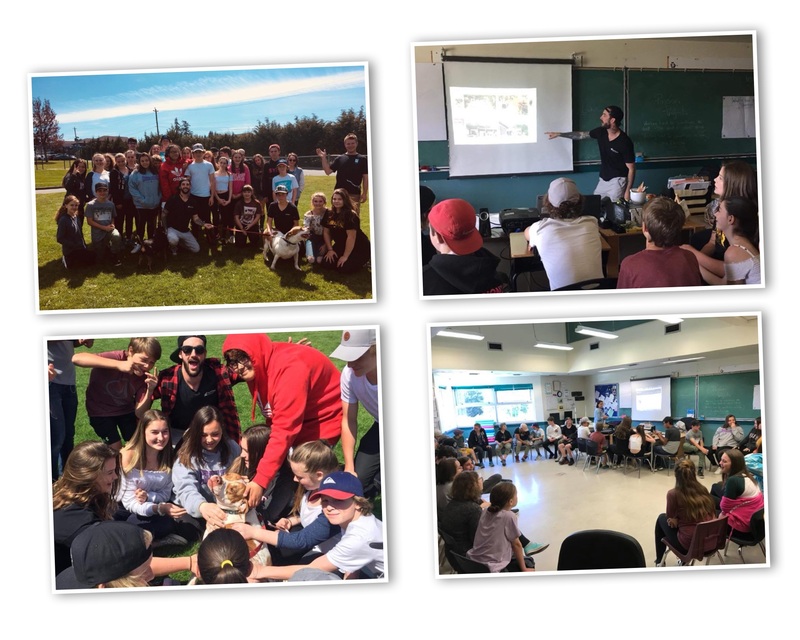 In early 2018 we were invited to Journey Middle School in Sooke, B.C. where we got to discuss with the students all about dog education and our passion for rescuing. 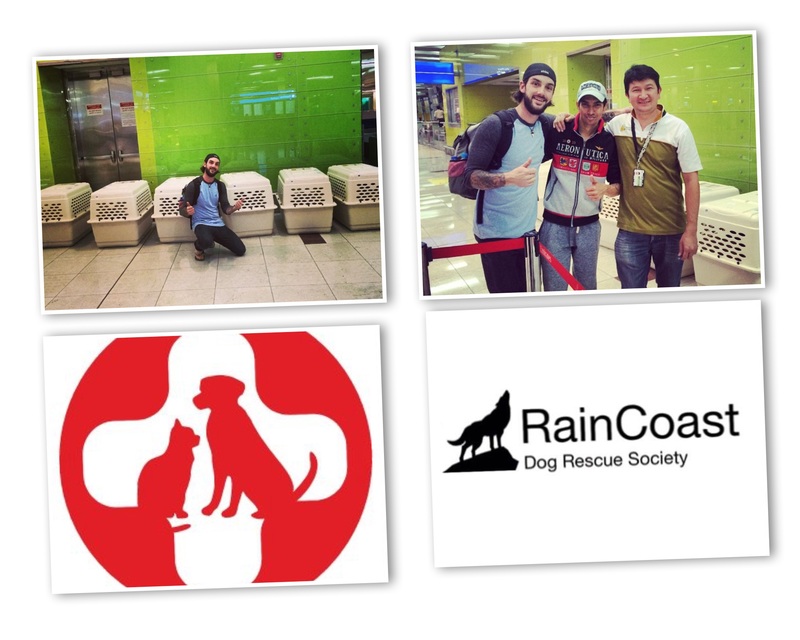 This was and honour and something we love to do very much here at RainCoast Dog Rescue Society. We love to talk to the future generations about how to properly treat and take care of their animals. By reaching out and educating the youth, only then will we change the future for the better educated and humane treatment of animals. Thank you to the teachers and students at Journey Middle School we had the pleasure of meeting and talking to that day. This is a picture of our founder, Jesse Adams, in February of 2015, in the Middle East working with the SPCA International with their fantastic program called “Operation Baghdad Pups”. This program helps bring military dogs and dogs friended by US military members to come back home. This is to ensure no dog is left behind that has served for the military dogs helping save lives. Jesse, is seen here with 6 highly trained Belgian Malinois Shepards, American military mine detection dogs needing to be brought home from Afghanistan to the USA, to be rehabilitated from their military service resulting in PTSD. It was an honour for us to be able to be part of such an amazing and honourable program. 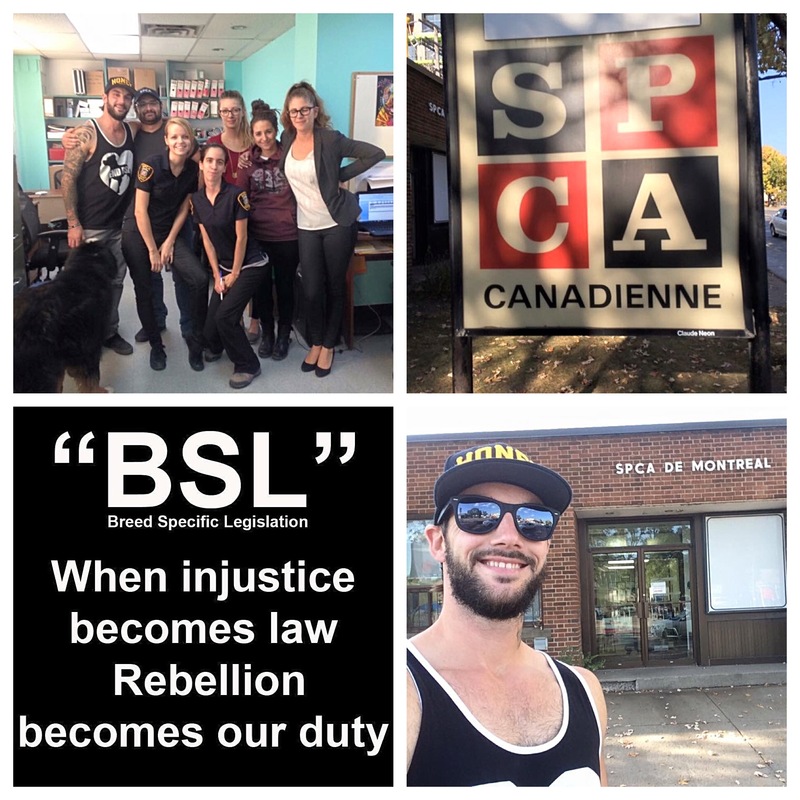 Here we show our second trip to Montreal to help dogs affected by their Breed Specific Legislation law. This targets a dog simply by how they look, not by how they behave. Regardless, it’s up to all owners to be responsible for their dogs and actions. The fault lays at the other end of the leash, the human side. This trip was in 2017 and we rescued two dogs from Le Berger Blanc. These two beautiful dogs, Hatch and Panther, were sadly subject to euthanasia simply for how they look. We were able to save these two from that euthanasia. Now in 2018, Montreal has a new mayor, Valeria Plante. She has revoked the BSL law and has introduced science based, factual and educated By-Laws. Here is a picture of our leader and founder, Jesse Adams, with the four dogs he rescued that were being subject to Breed Specific Legislation in Montreal in 2016. He rescued them from a very questionable, high rate euthanasia shelter in Montreal called Le Berger Blanc. 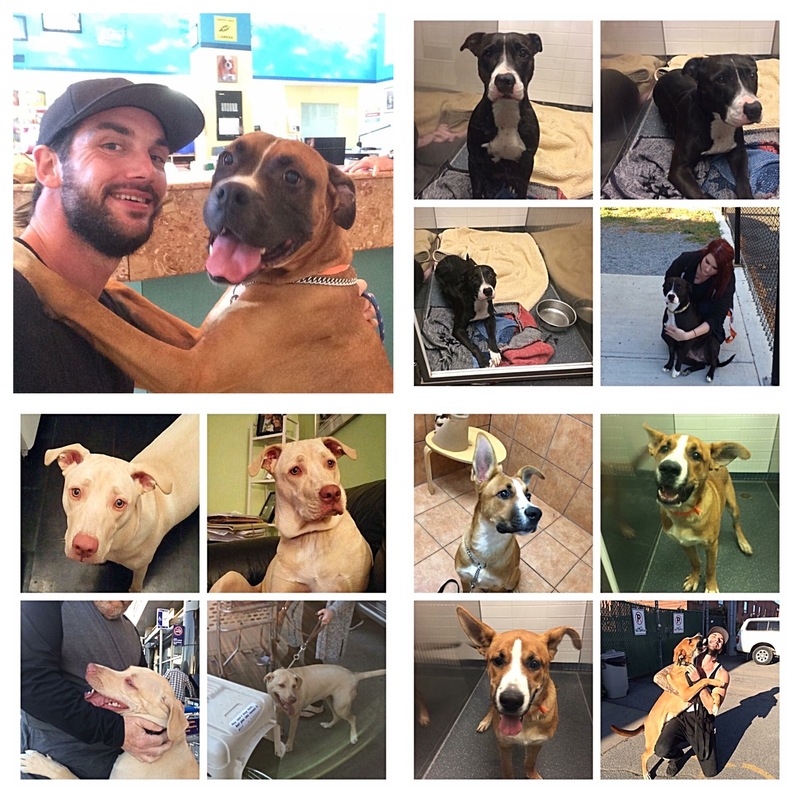 2016 Montreal END BSL Advocacy and Rescue Mission. 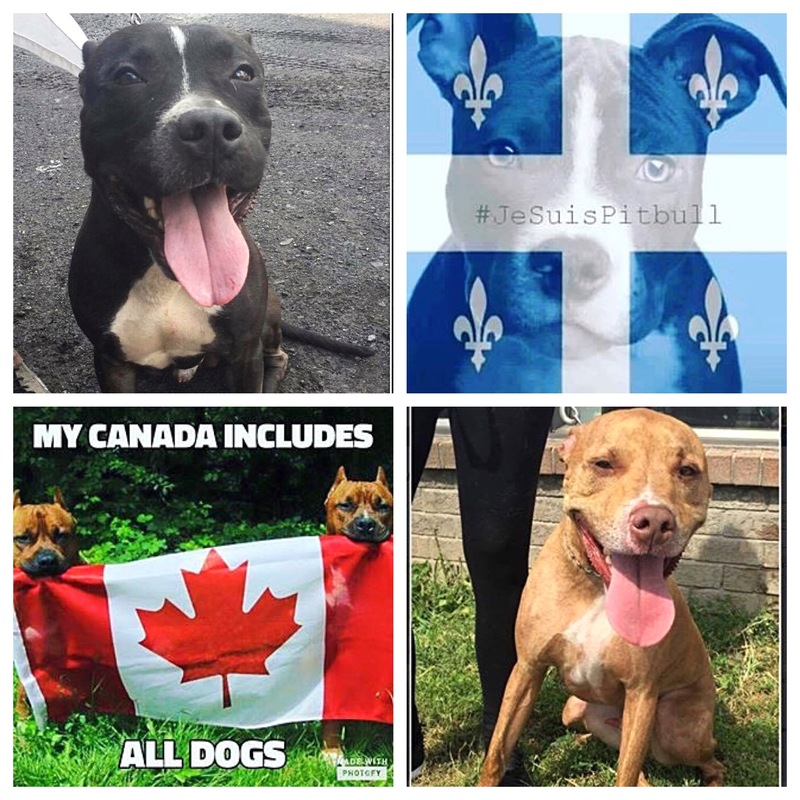 On October 3rd, 2016 and in 2017, RainCoast Dog Rescue was officially at ground zero in Montreal, Quebec to work with the wonderful Montreal SPCA and to stand behind all American Pit Bull Terriers, and any dog considered a “Pit Bull” and their owners to fight against fear, hate, ignorance and profiling. To stand up for what’s fair, just, and humane for any breed of dog, but right now it’s especially about American Pit Bull Terriers, and any dogs with a blocky head that look like them. So called “Pit Bulls. Because that is what Montreals Mayor, Denis Corderre and specific city council members believed was very dangerous to their city and it’s people. Any dog that even looks like it may have a hint of American Pit Bull Terrier, or some type of blocky head look in their genetics. This is due to some humans spreading mass fear, hate and ignorance. This is what is really dangerous, not a breed or breeds of dog. This barbaric attempt at BSL is completely based off fear, ignorance and hate mongering. Not one bit of it is based of facts and science. So we stand up for the ones without a voice. We stand up for the ones that ask for help with their eyes and paws, not their voice. For we are their voice, we are the voice for the voiceless. END BSL. Education over discrimination. Thank you from the bottom of our hearts and paws. Meet super sweet and beautiful Saiya! Saiya comes from a local community in Central Sannich and is the first beautiful girl we have gotten spayed with this PET project. We are so happy for you Saiya. 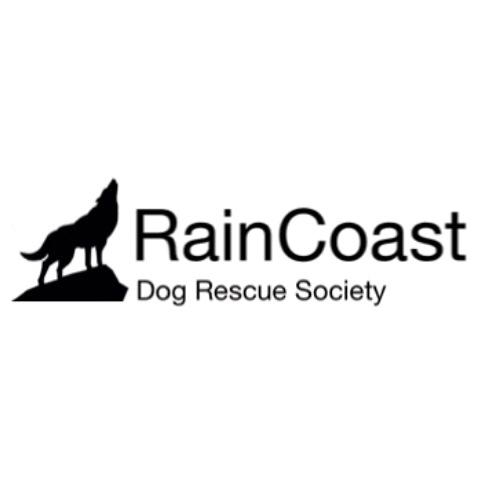 This is a great local project that us at RainCoast Dog Rescue Society launched in 2015. Within this project we spay and neuter, vaccinate, get medical care, and supply all sorts of dog goods to help improve the quality of life for dogs and their families in need here on Vancouver Island. We also go to local island schools to help show kids of all ages how to properly approach and greet dogs, how to properly treat and act around them, as well as education of behaviours, breeds and ownership. We are very proud and honoured to be able to help and have such a great program. To help donate to this great program please click the “donate” button on the main website page at raincoastdogrescue.com. Thank you kindly from the bottom of our hearts and paws! 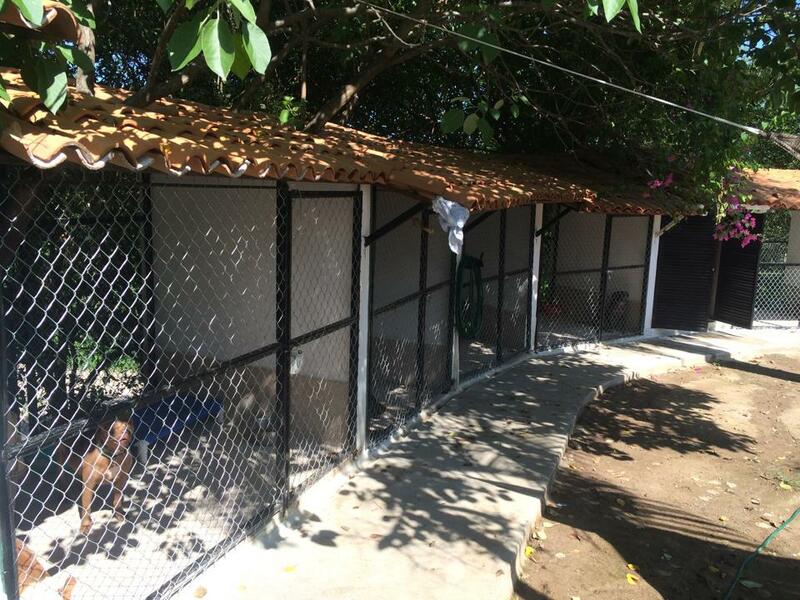 This is the Central Acopio Animal Shelter In Puerto Vallarta, Mexico, after we had stepped up with a few other rescue organizations and volunteers to make it our mandate to change the shelter around to become one of, if not the best, government run shelter in PV, Mexico. As seen in the pictures and descriptions above this post, you can see and read what the conditions used to be like here at the Acopio shelter, before we all stepped up to help, and help we did. We had managed to hire some new staff to help train, clean, walk and feed the dogs daily on a regularly set schedule. We were able to help educate the staff on how to deal with specific dogs behaviours, and how to properly care for each dog and that dogs needs, a lot being medical needs. The biggest and most critical contribution that we all made was to have actual kennels be built to give the dogs a proper place to live and thrive in. To be safe and out of the direct weather, and have some free space to move around in while not being chained up. This was one of the most gratifying feelings to feel and experience for us and the dogs. It has made such a world of difference in their quality of life. We are all very proud of this contribution that was able to happen because of the love and support of donators and animal advocates for this project. Central Acopio Animal Shelter / Prior to our help. This is the Acopio Animal Shelter in Puerto Vallarta, Mexico. This is what the Acopio shelter used to look like before all of us rescue groups and volunteers stepped in to raise money and awareness to transform this shelter into one of the best government owned shelters in Mexico. 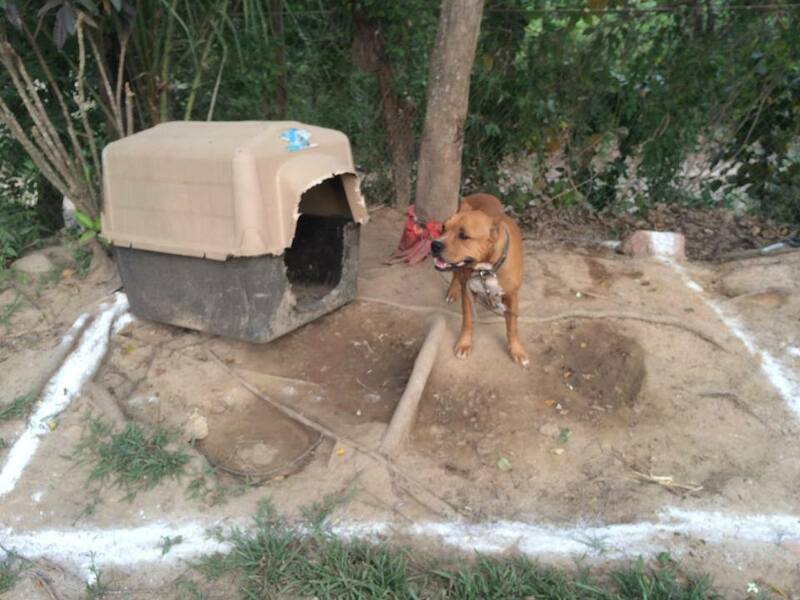 Most of the dogs were chained to trees with no more than a few feet of slack, forced to live in dirt and maybe use an old, very hot and dirty plastic kennel, if they even had one. Even through the extremely hot summer months and the extremely rainy wet season, they were forced to just endure it all out in the open. Being rarely fed, and when they were fed, it was the wrong food and caused most of the dogs to have allergic reactions. Things needed to drastically change here for the welfare of all the animals being kept here. Something had to be done.